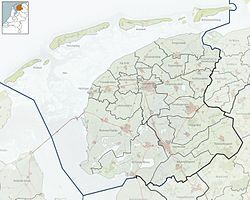 Dokkum is a city in the province of Friesland, the Netherlands. It is a part of the municipality of Dongeradeel. It has about 13,000 people (2014). This page was last changed on 26 February 2018, at 21:56.